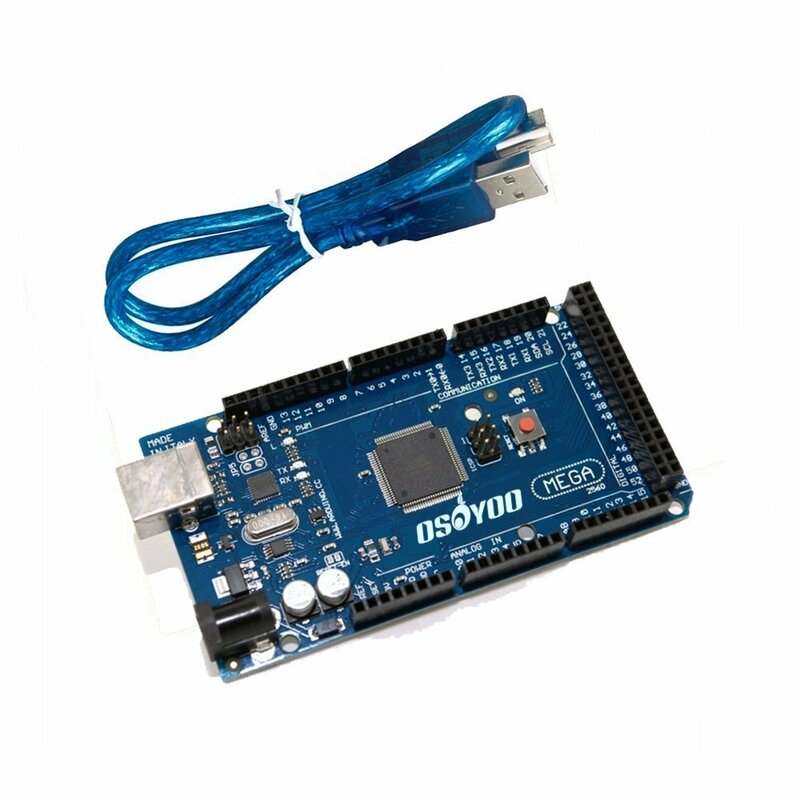 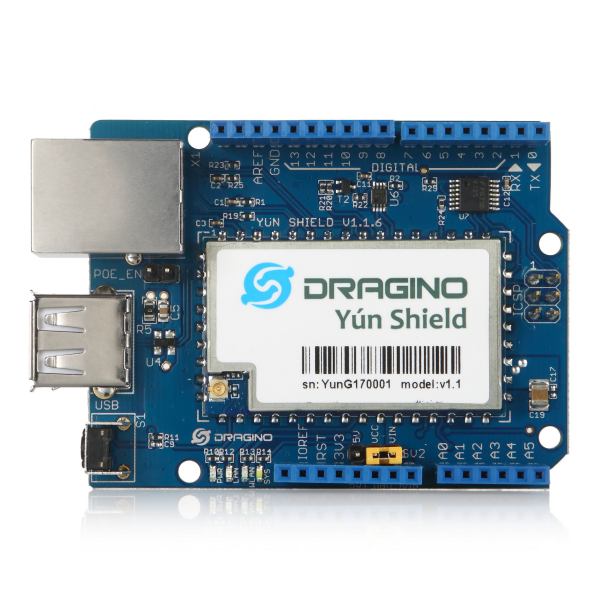 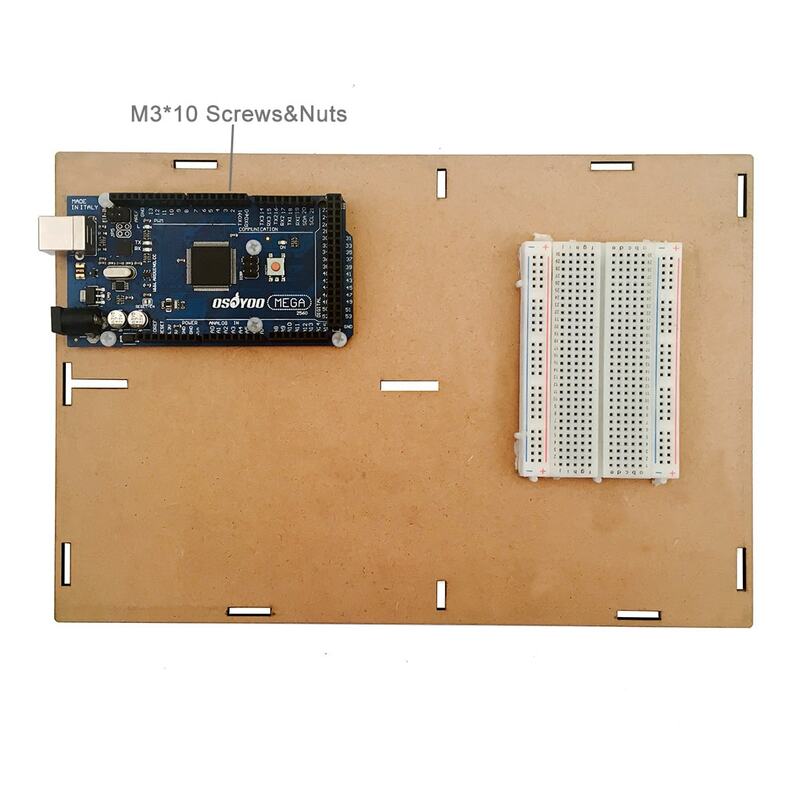 Use M3*10 screws&nuts to install OSOYOO Mega2560 board on the wooden floor board, then plug Yun Shield v1.1.6 in OSOYOO Mega2560 board. 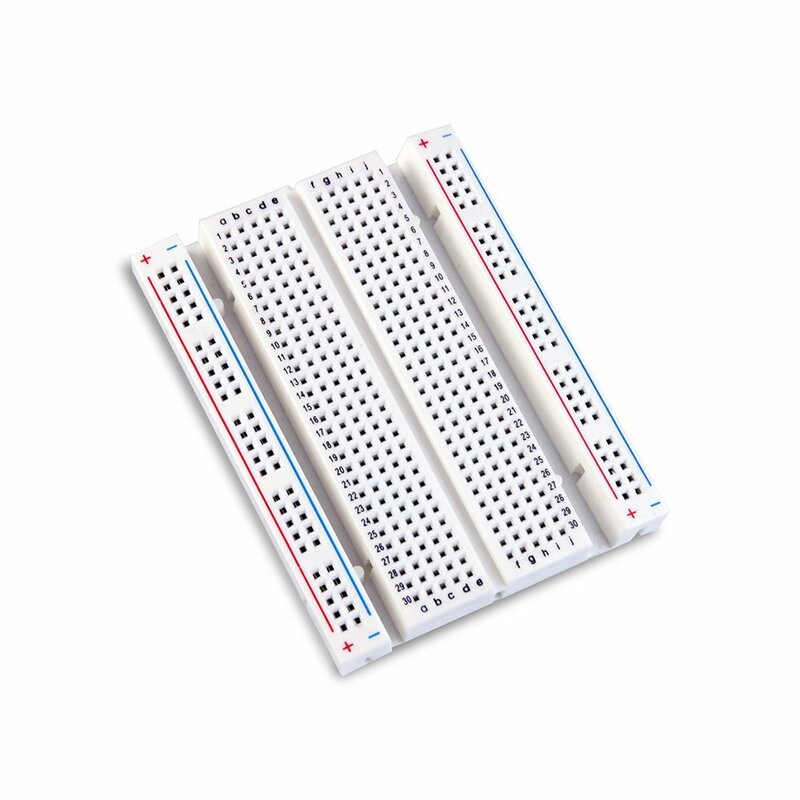 Remove the release paper from the half size breadboard, then stick the half size breadboard on the floor. 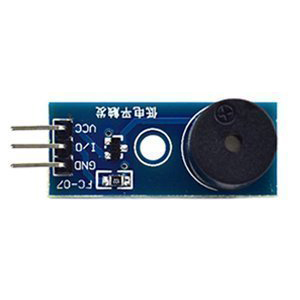 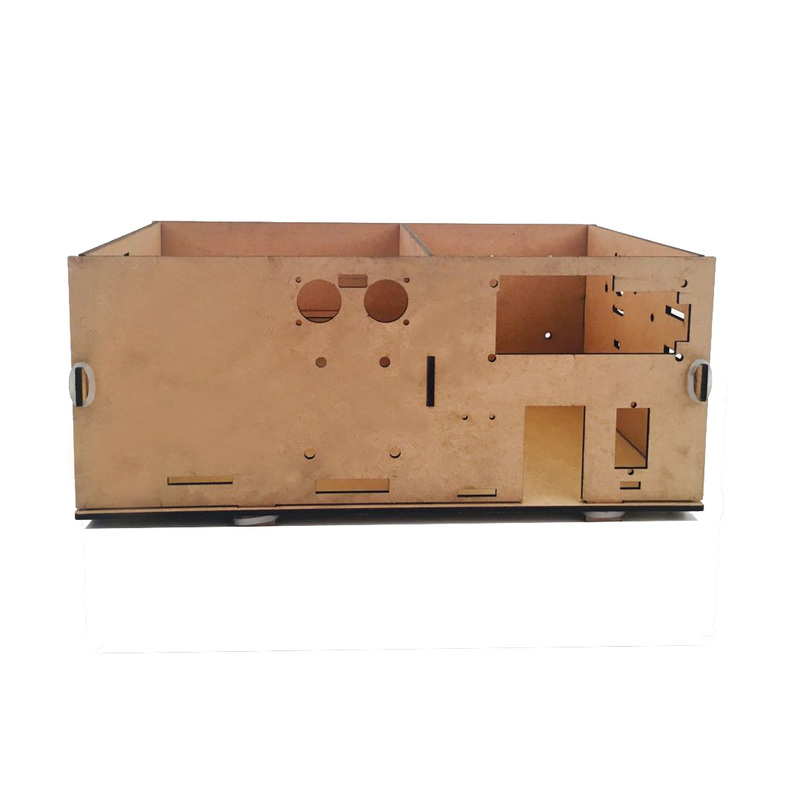 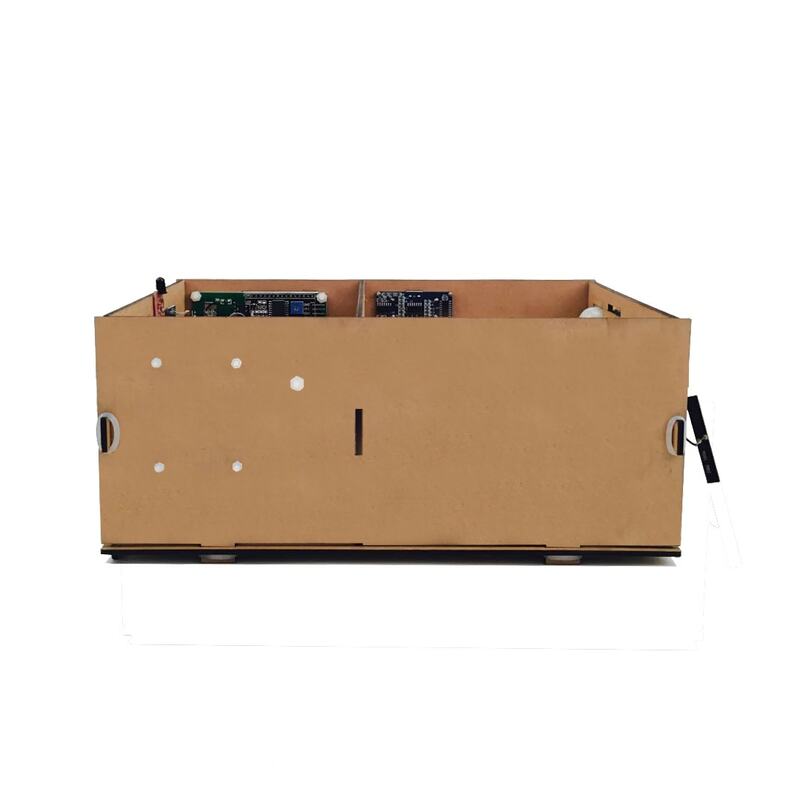 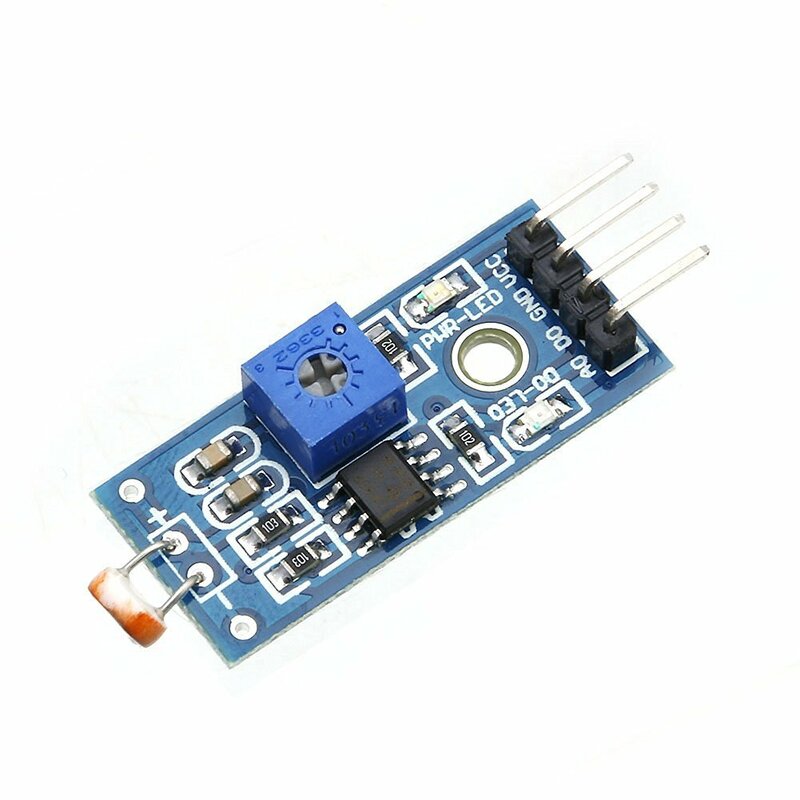 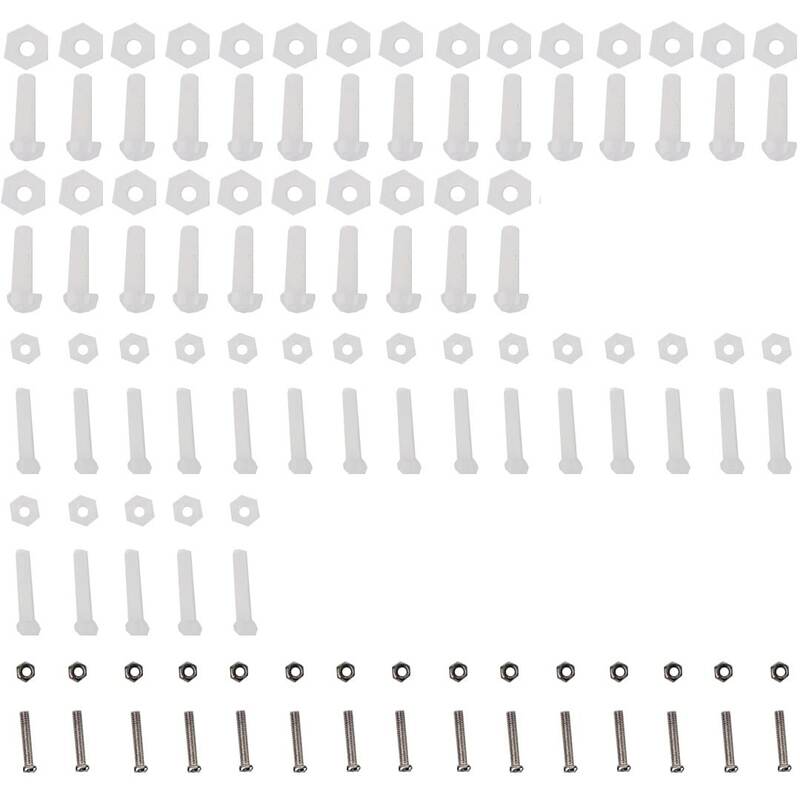 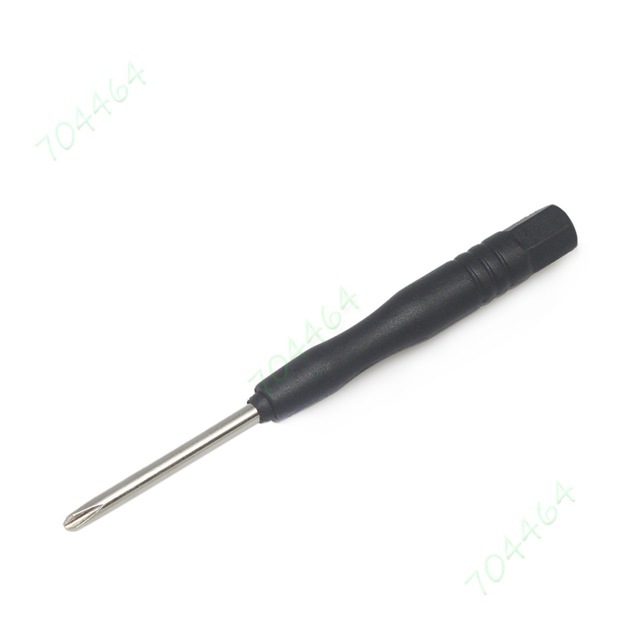 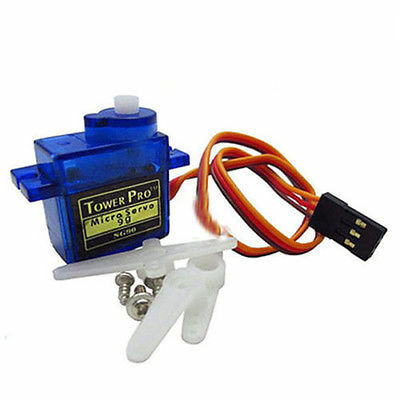 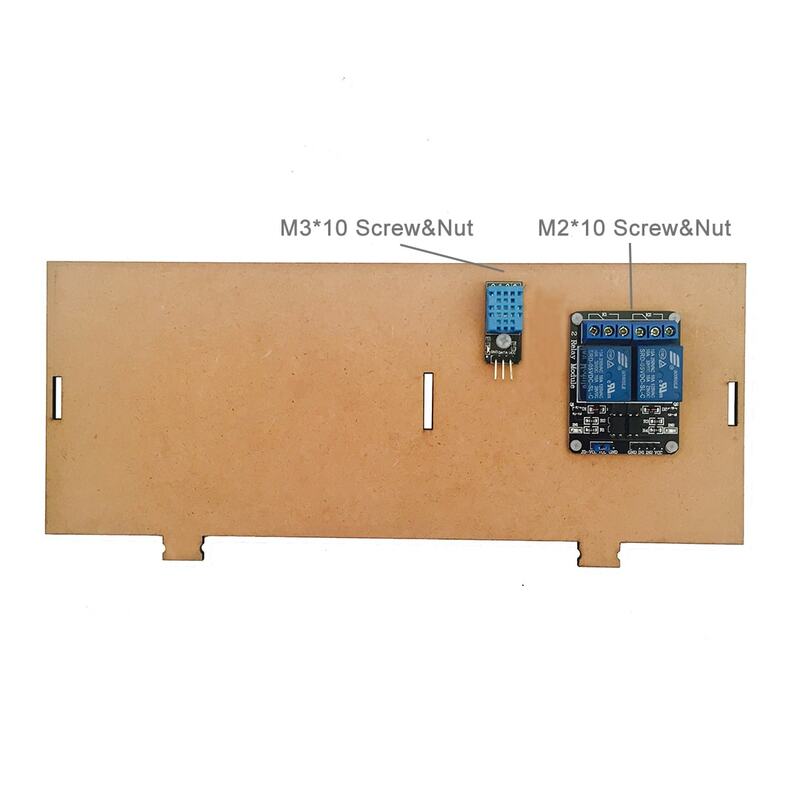 Respectively use M3*10 screw&nut and M2*10 screws&nuts to install DHT11 Sensor Module and 2-Channel Relay Module on the wooden back board. 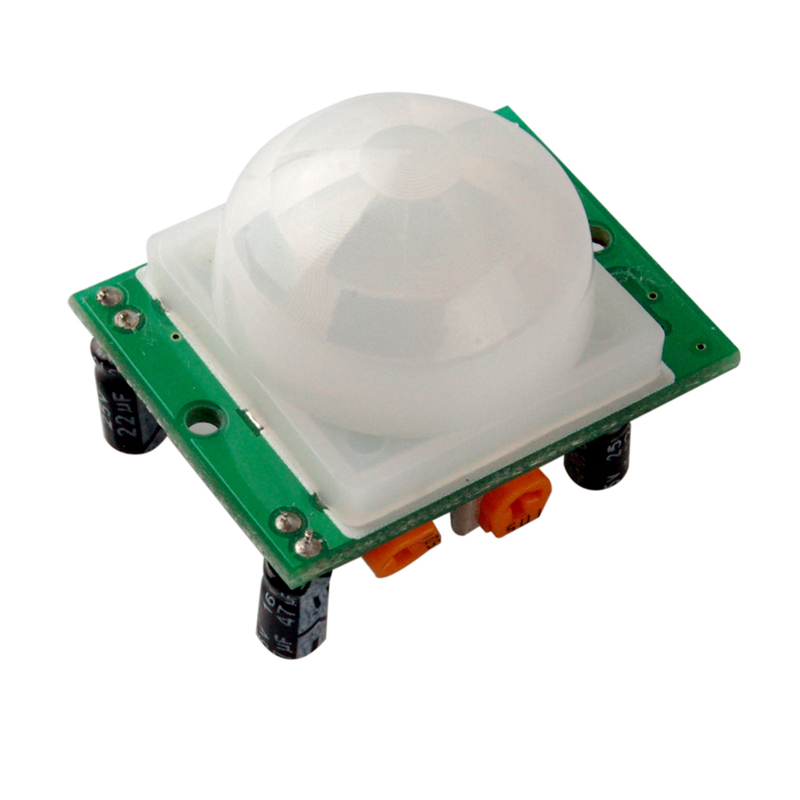 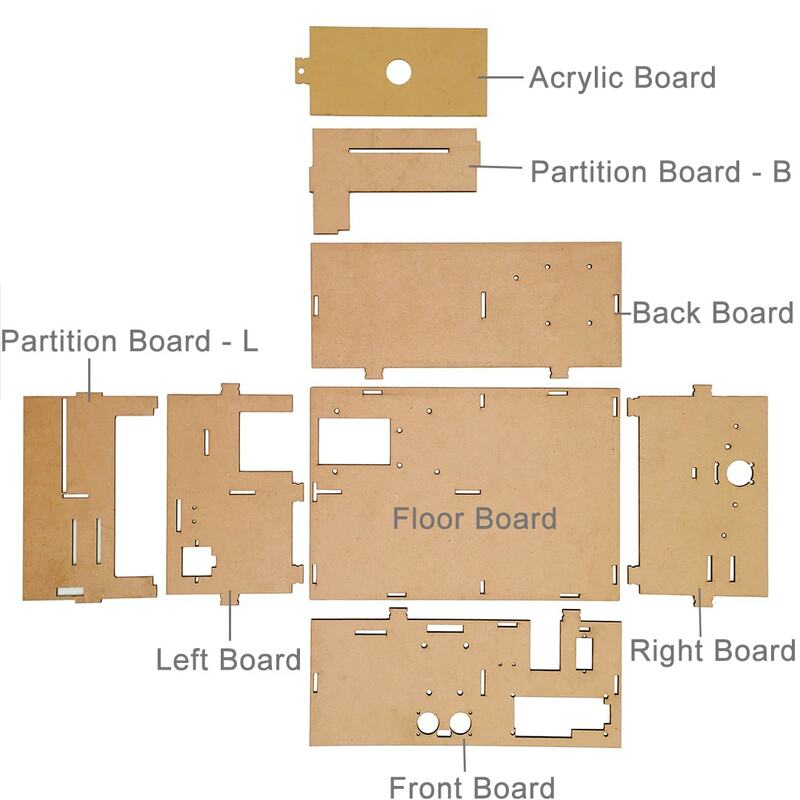 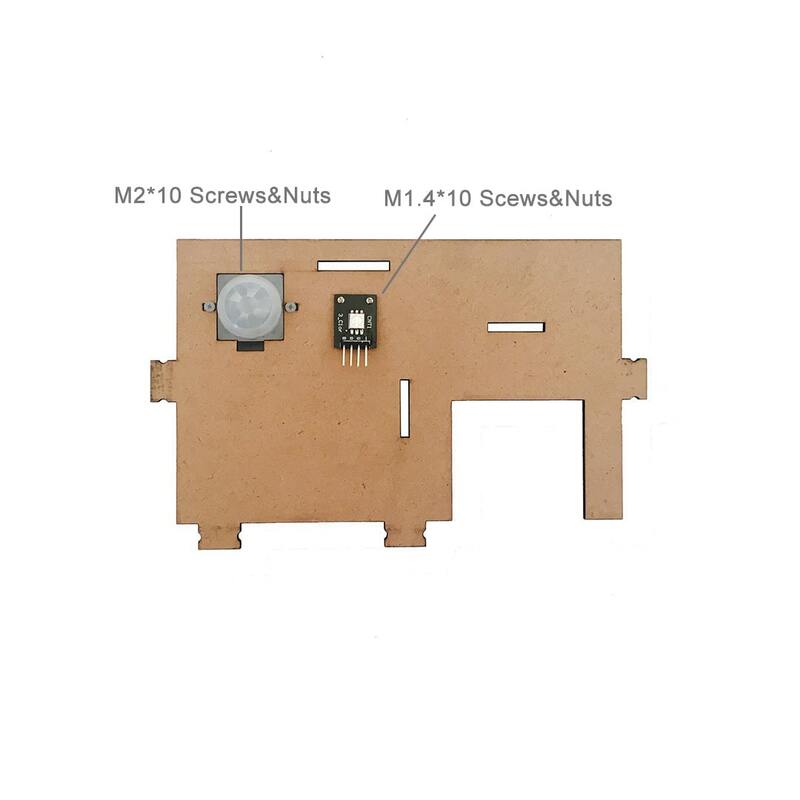 Respectively use M2*10 screws&nuts and M1.4*10 screws&nuts to install PIR Motion Sensor and RGB LED Module on the wooden left board. 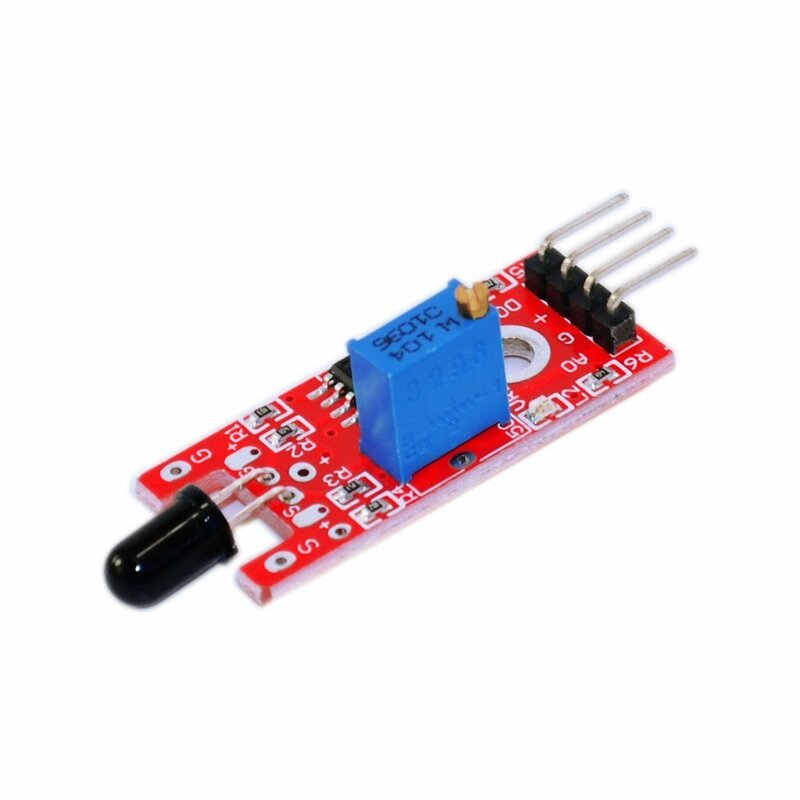 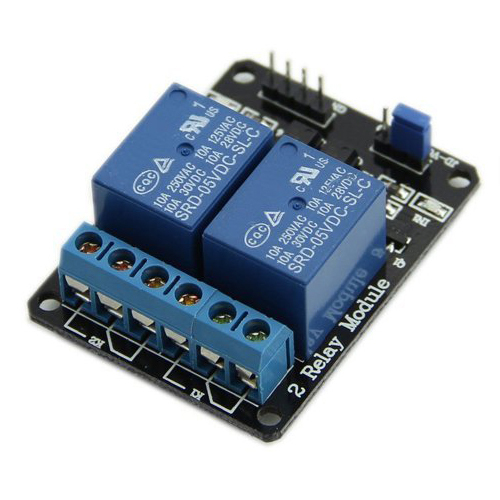 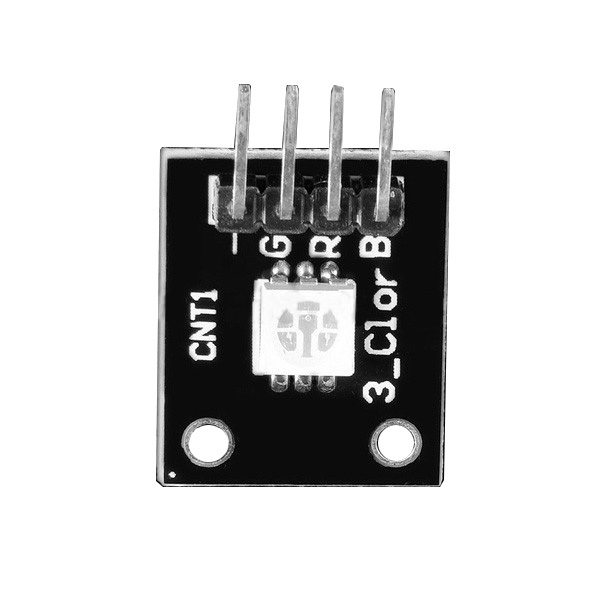 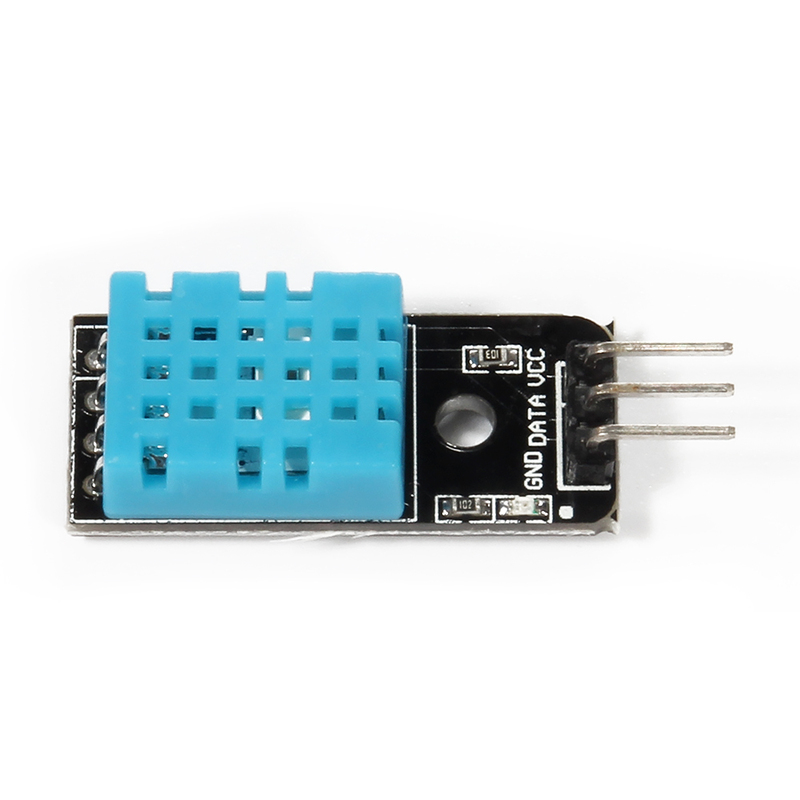 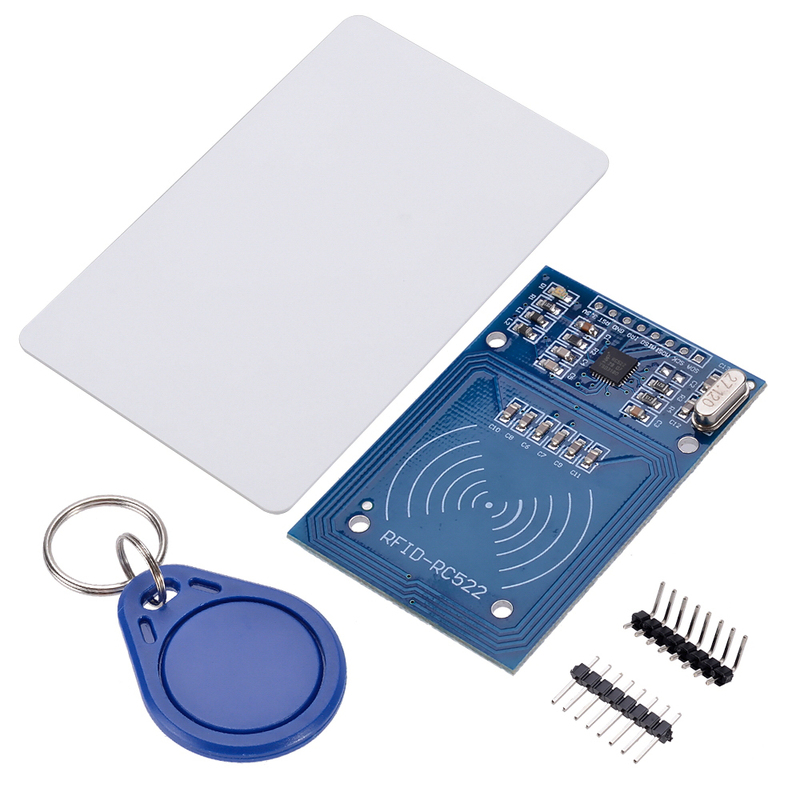 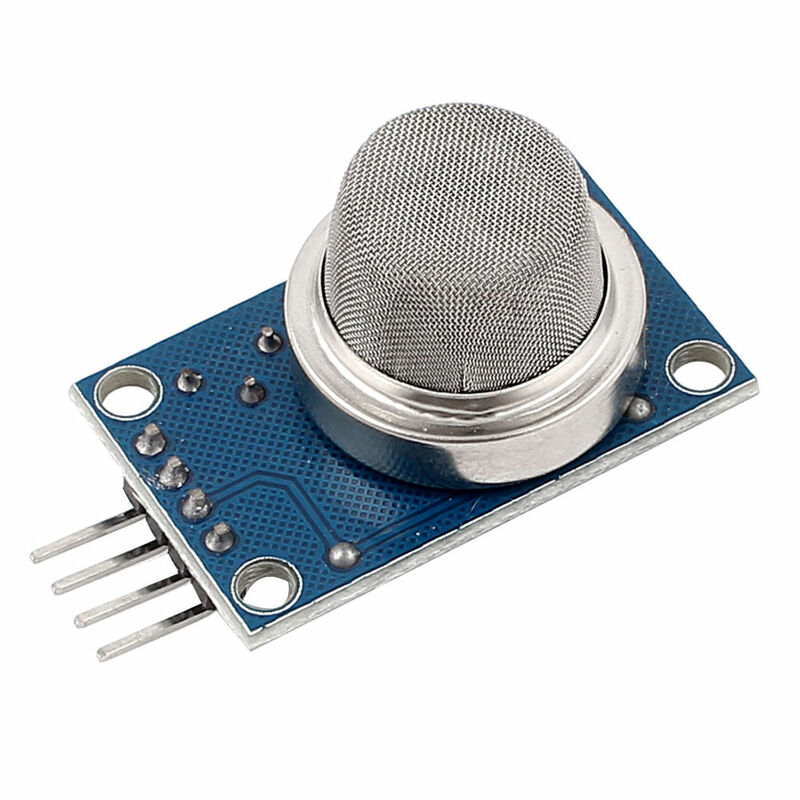 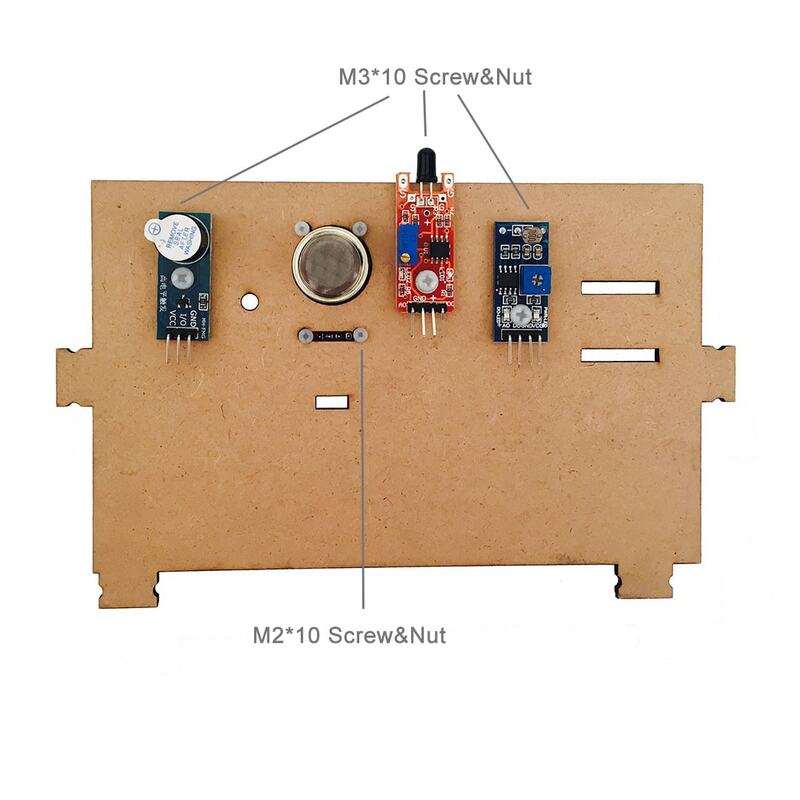 Use M3*10 screws&nuts to install the Positive Buzzer Module, Flame Sensor Module and Photoresistor Module on the wooden right board, use M2*10 screws&nuts to install the MQ2 Gas Module on the wooden right board. 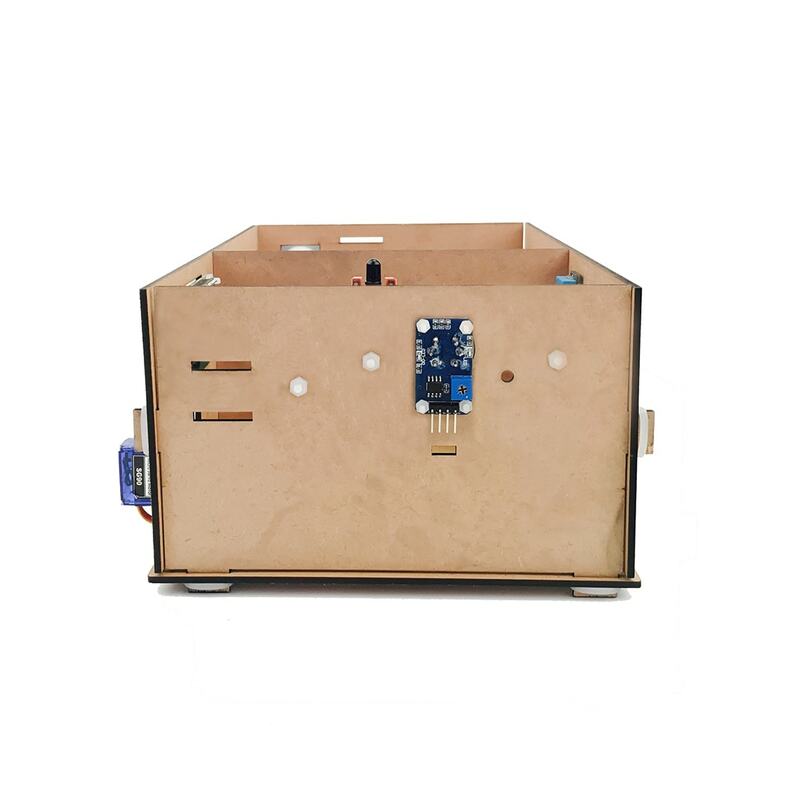 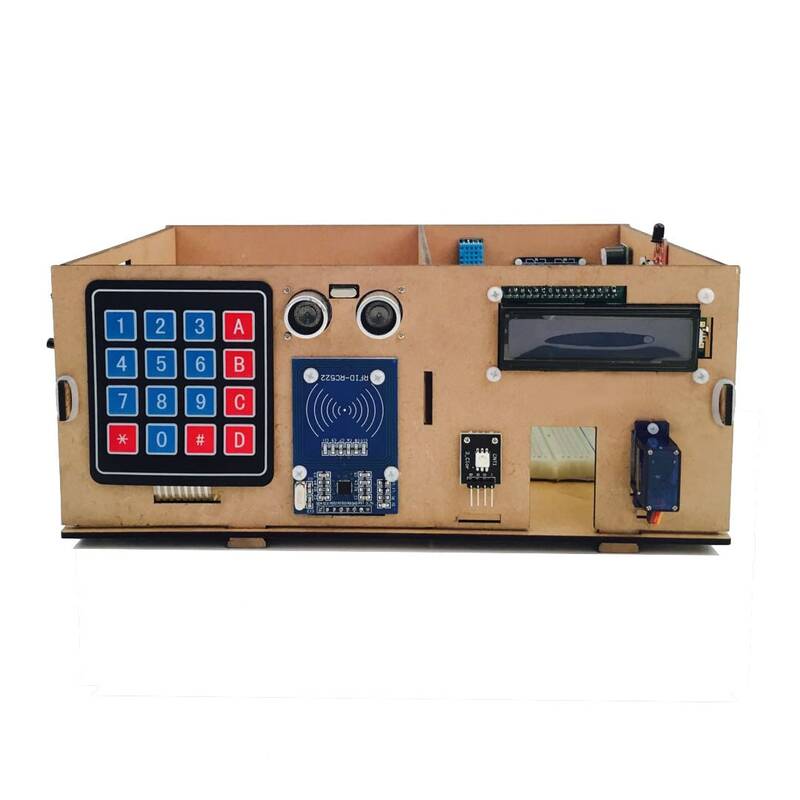 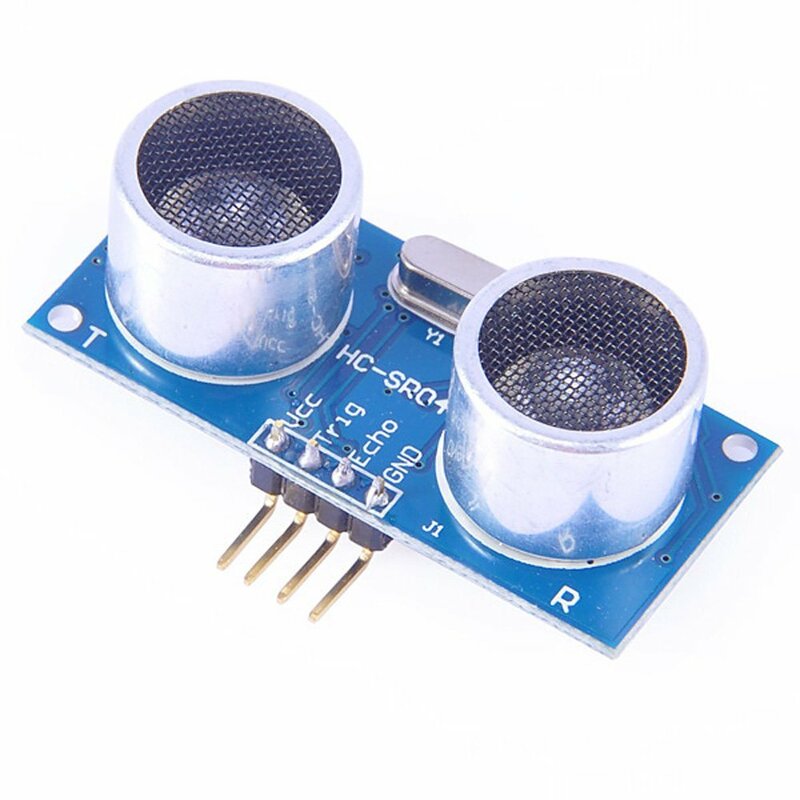 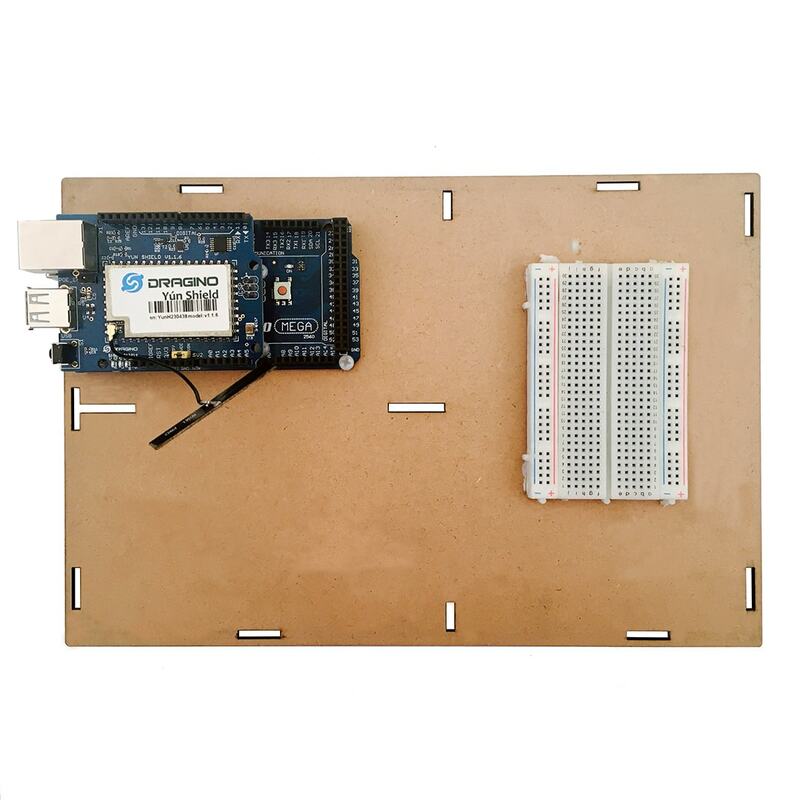 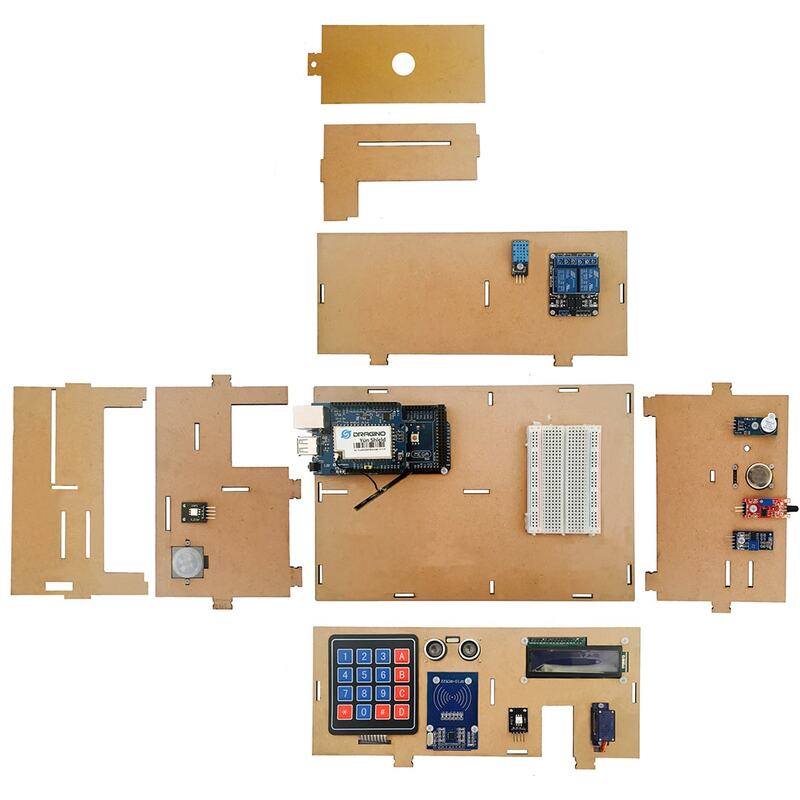 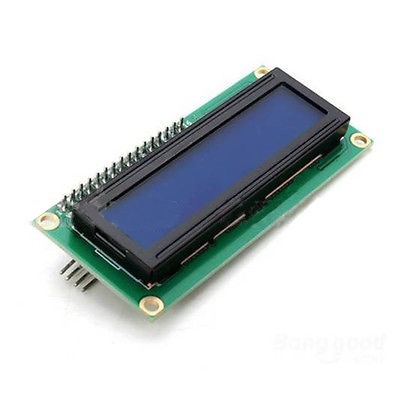 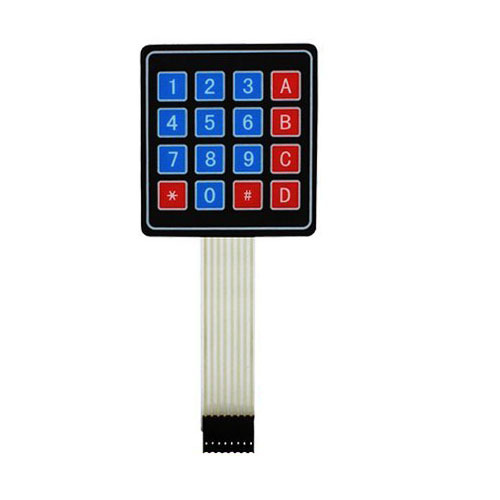 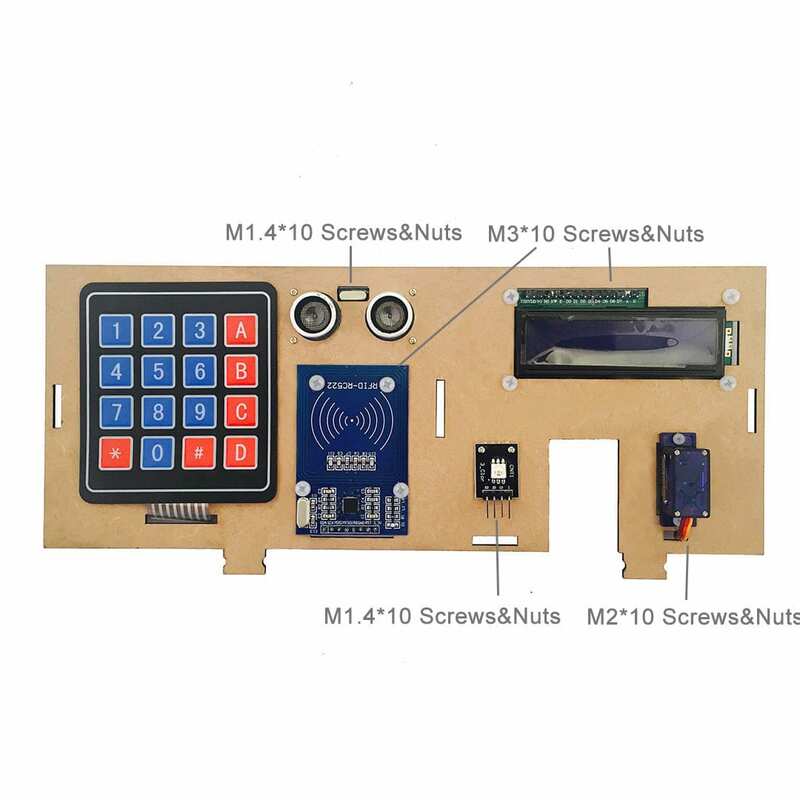 Use M1.4*10 screws&nuts to install the Ultrasonic Sensor HC-SR04 and RGB LED Module on the wooden front board, use M3*10 screws&nuts to install the Alphanumeric I2C Liquid Crystal Display Module and RFID Module on the wooden front board, use M2*10 screws&nuts to install the SG90 Micro Servo Motor on the wooden front board, use double side tape to stick the 4×4 keypad on the wooden front board. 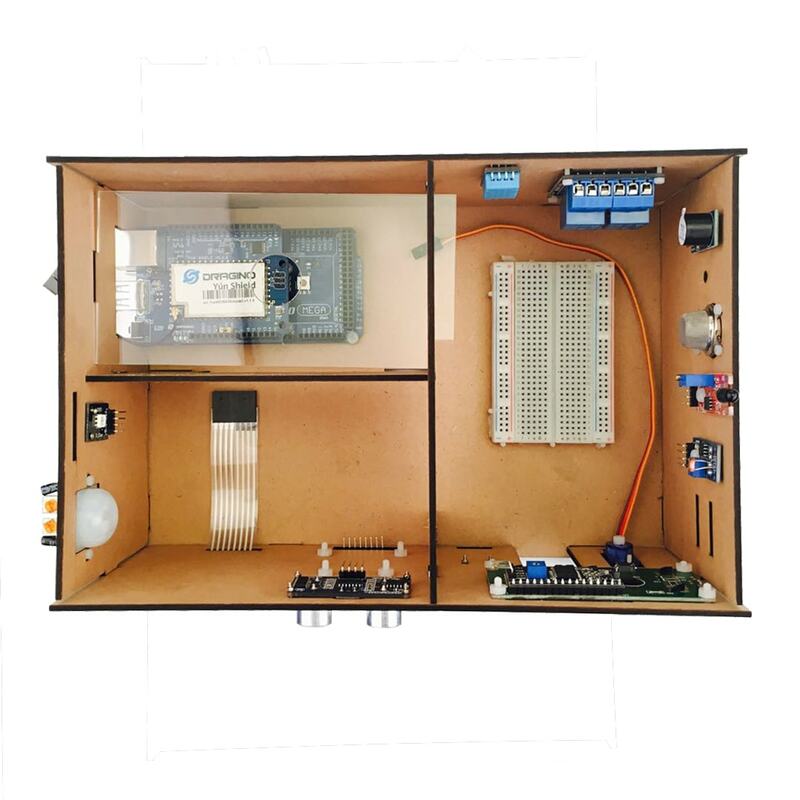 The model installation is completed, the wire connection and projects please view the subsequent lessons of OSOYOO Yun IoT Kit.